Soak in a rustic, European ambience at Bowral's Bistro Officina. Bistro Officina is firing up Bowral’s on-the-rise dining scene. Nikki Wallman takes a seat at the new hotspot. The word ‘hot’ doesn’t immediately come to mind when you hear ‘Bowral’, right? You’re more likely to think of cool, misty landscapes; vintage fashion and antiques; perhaps a spot of high tea or a golden, flaky country-style pie. But 2016 was a watershed year for the Southern Highlands town, with a raft of new restaurants and cafes proving that there’s a hunger among both locals and visitors for sophisticated, city-style dining infused with that inimitable laid-back country vibe. 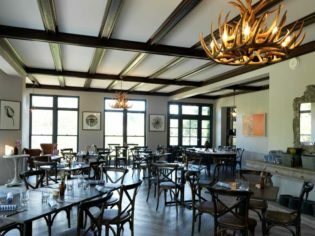 High on the list is Bistro Officina, which opened last winter in the newly refurbished restaurant space adjoining the quirky Berida Manor Hotel. 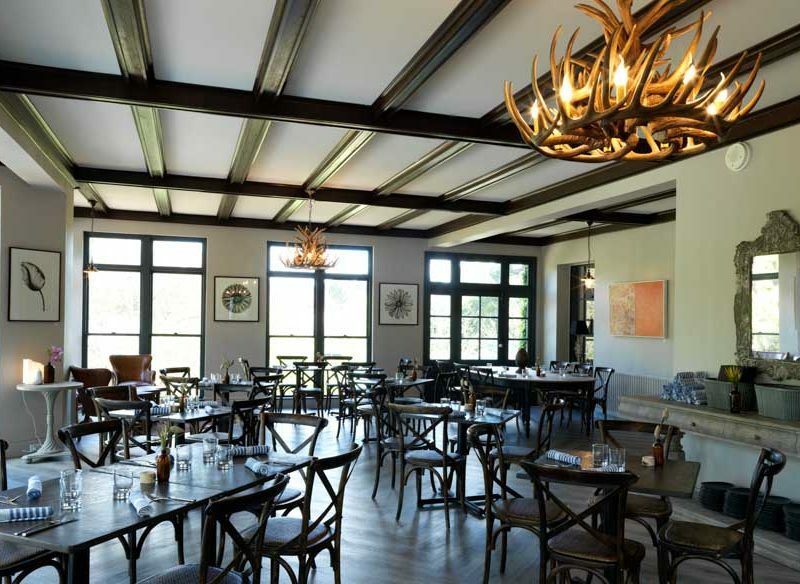 Upon entering the restaurant I’m struck by the cool-yet-warm, rustic ambience – with heavy wooden beams, wood-carved antler-style chandeliers, cowhide rugs and partly exposed brick walls – and we’re warmly greeted by chef Nicola Coccia’s wife Alexandra. Chef Nicola Coccia cooks only by flame. It seems half of Bowral is here tonight, which might explain the waiter’s delay in arriving with our first drinks, but we’re happy to soak up the convivial atmosphere. Our waiter explains that the kitchen cooks only with fire – no electricity. It’s a primal thing, really: immediately, you imagine things charred, crisped, slow-roasted, smoked; flavours unfurling under the focus of the flame. We opt for the ‘Officina Experience’ ($89), a casual version of a degustation that sees the chef send out his own selection of the night’s dishes (Dad and Sis order à la carte). We choose local wines – the 2012 Artemis Shiraz Viognier is a standout – in keeping with the restaurant’s focus on showcasing mostly regional produce. Dishes generally consist of just a few ingredients, beautifully cooked and cleverly combined; the menu changes often. We taste too many to cover here, but highlights include a wagyu tartare offset by soy mayo and then again by tart caper leaves. A cabbage ‘roll’ with smoked mozzarella and lemon cream is almost outrageously comforting; a simple pasta with old-fashioned vodka sauce is terrific; and a whole quail is split expertly by Alexandra at the table and accompanied by a nutty farro porridge and grilled grapes. Bistro Officina’s menu changes often. Delicate serving of mahi mahi, fennel, burnt orange salsa verde. I’m converted by the tiramisu, which buries negative past memories. Bistro Officina’s version is simultaneously down-to-earth, delicious and decadent, echoing its surroundings perfectly. It’s official: Bowral’s definitely heating up. Verdict: Worth the local hype. This welcome addition to the Southern Highlands food scene fuses European tradition with local produce and the universal cooking method of fire. We rated: The warm, relaxed ambience; the bold flavours brought by the fire; the European sensibility without the pretence. We’d change: Delays on drinks left us hanging at the beginning, but service found its groove as the food started flowing.